Melanie is a registered yoga teacher, knitter and craft dabbler. She lives in the mountains of North Carolina with her husband Dylan and two kittos, Luna and Takk. When she’s not stitching and stretching, you can likely find Melanie out on a hike or cozied up with a good book and a cup of tea. 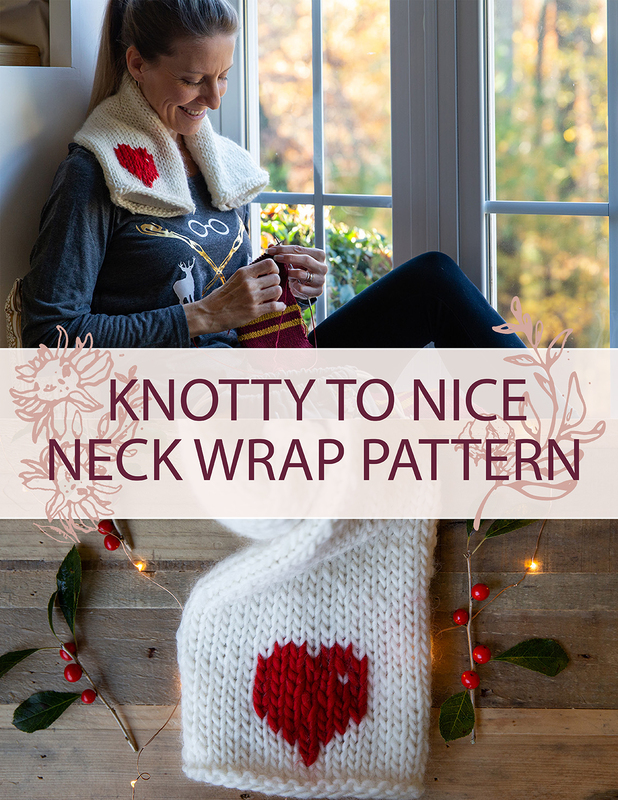 Knotty to Nice Neck Wrap Hybrid Pattern + Yoga Video! Seasons Greetings, Makers! Melanie of Stitch & Stretch here. I’m an alliteration-adoring yogini and keen knitter who likes to dabble in sewing and crochet and who is constantly blown away by the amazing, thoughtful, and supportive maker community we’re all a part of. (It’s totally brill, isn’t it?!) Yoga has been a part of my life for 10 years, but since picking up knitting two years ago, and realizing how similar the two are (after all, #knittingisthenewyoga), I decided to start a lil’ blog of my own. 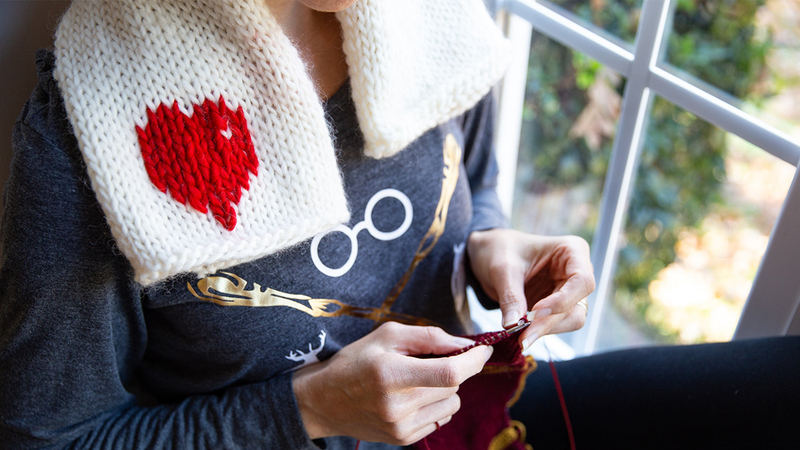 As I stitched my way into the uncharted territory of knitting, I began noting how both stitching and stretching were practices of self-care, outlets for creativity, and avenues to meet truly amazing people. It seemed too good to keep all to myself, so I carved out a wee slice of the world wide web for a blog, set up an IG profile and started sharing my reflections and creations. I still may be an "Instagramma," considering I’m not up to date with all the ins and out of social media, but since hopping the platform, I’ve been continually fueled and inspired by YOU. I’m so grateful to Jessica and the Hook Nook team for providing this place to meet, share and learn from and with each other. I am honored to get a chance to greet you and share the Knotty to Nice Neck Wrap and Yoga Sequence! I’d love to stay connected with all you movers and makers out there, so come find me on IG @stitchandstretch so I can officially thank you for your bountiful #inspo. But first, let’s stitch and stretch together! It’s safe to say that holiday season is in full swing (Christmas is what, three weeks away?!). As such, there’s a pretty good chance that your “free time" is filled with things like: making every person on your list a gift, restocking all of your market inventory, preparing meals, shopping for last minute stocking stuffers, planning get-togethers, wrangling kiddos (or in my case, kittos), attending holiday parties, and on and on. 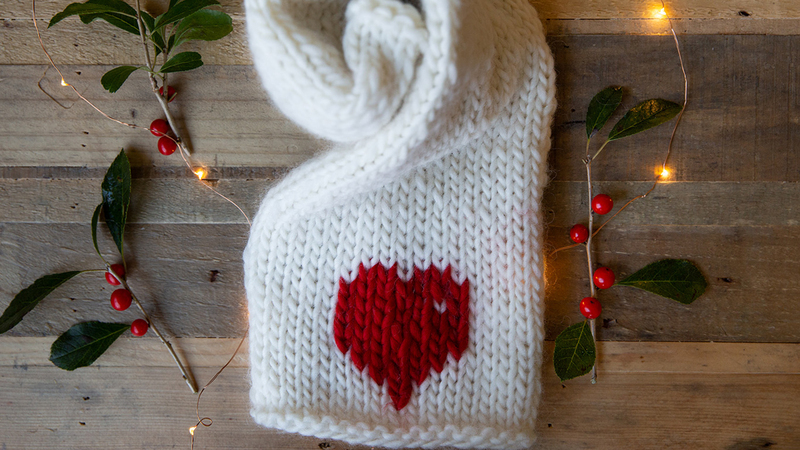 In the hustle and bustle of the holi-daze, self-care often gets put on the back burner. There’s so much to do for others, that we forget to do something for ourselves! Well, let’s change that. I’m here to tell you, I’ve got your back. (Well, mostly your neck and shoulders, but your back will feel good too.) May I present to you (drumroll….) the Knotty to Nice Neck Wrap and Yoga Sequence! The Knotty to Nice Neck Wrap (or KtNNW for.. um, short?) is a quick and easy sewing project that will keep you cozy and help you relax by melting away any tension that you may be experiencing as a result of the holi-craze. A flax seed filling (and dare I recommend soothing essential oil droplets?!) provides a comforting weight that can be gently warmed in the microwave then wrapped around your shoulders for luxurious, calming, self-care tranquility. Well, what do you say? How about we dedicate some stitch and stretch time in the name of self-care? I am a very basic sewer, so you can be sure that the KtNNW is an uncomplicated project. Some cotton fabric, a little flax seed, a couple drops of essential oil (totally optional, but totally worth it), and a few straight stitches on the ol’ sewing machine and you’ll have yourself a sweet little treat. I supply basic instructions for a knit and crochet tube cover, but honestly, feel free to get creative - embellish it anyway you want, or leave it, um, unwrapped. 2. Turn inside out (poke those corners out too!) and iron. 3. 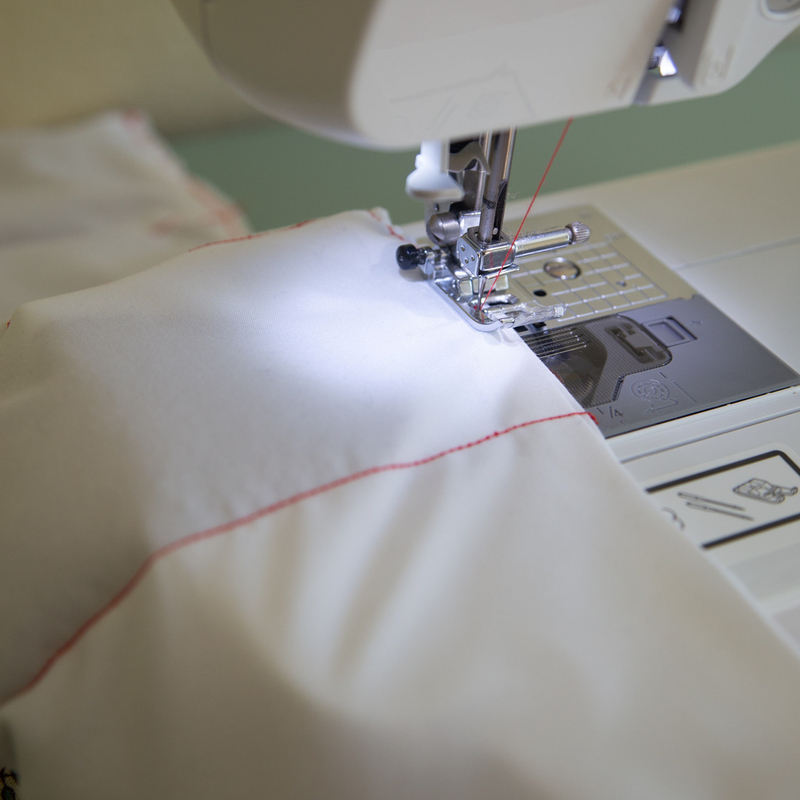 Create 1/2" seam along the open end by folding fabric inward on each side, lengthwise. Iron across new seam line. Leave this side open for now. Your new dimensions should be 24”x6”. 4. 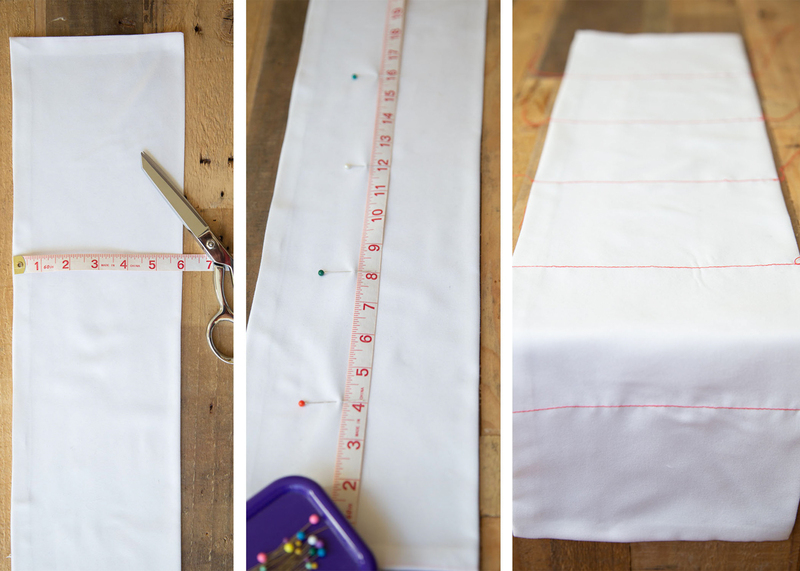 Measure 4” increments and place a pin at 4”, 8”, 12”, 16” and 20”. You can place extra pins to ensure straight lines when sewing, or do as I did and lightly pencil a line widthwise at each of these marks. 5. Sew along each 4” mark widthwise, leaving the top of each pocket open. 6. If using essential oil drops, mix the drops with the three cups of flax seeds. Allow time for them to dry before using the flax seeds to fill the neck wrap. 7. 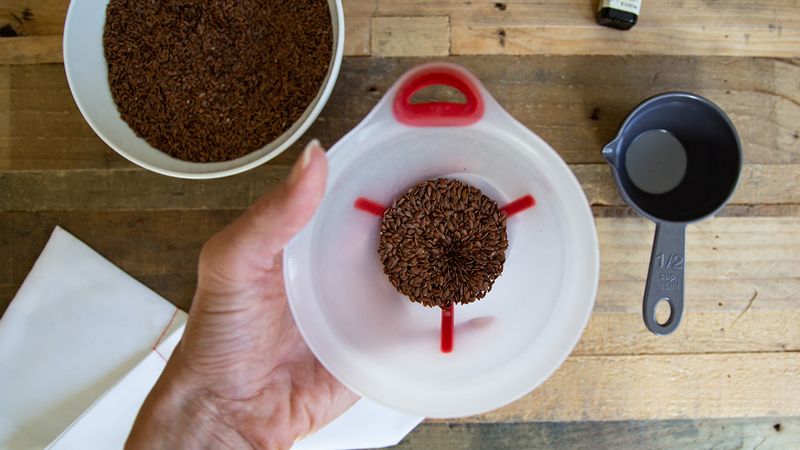 Measure 1/2 cup of the flax seeds and use the funnel to fill each pocket. 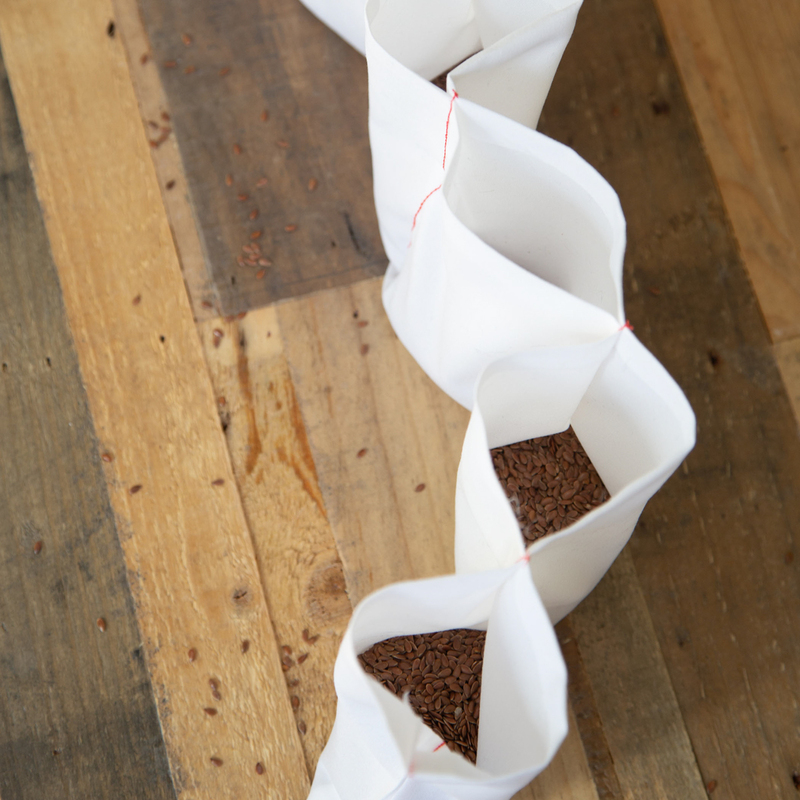 (Six pockets, 1/2 cup filling in each = 3 cups total). This is a medium weight. You can put slightly more in each compartment, but be careful not to overstuff the pockets - they’ll be difficult to sew and less comfortable while wearing. 9. Top stitch along the open end. 10. 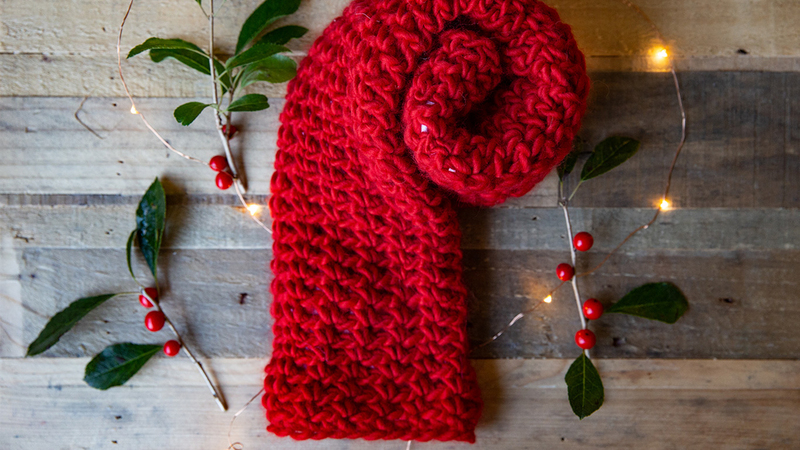 If you’re leaving your neck wrap unwrapped, then you’re done with the crafting part! Skip ahead to the Yoga Sequence video! To whip up a quick and easy cover, pick your craft of choice below. Cast on 34 stitches and join in the round. Place stitch marker to indicate beginning of round. Cast off and weave in the ends. Single crochet in the first chain stitch from the hook. Chain 1. *Skip the next stitch and single crochet in the following chain stitch. Chain 1. * Repeat these instructions until you come back to the slip stitch that joined the work. For the next round and each subsequent round, single crochet in the chain 1 stitch of the previous round. Then chain 1. Continue on in this pattern, single crocheting in the chain of the previous round, then chaining one, until you have reached approximately 26.5”. To finish, make a couple of slip stitches across the top of your project and weave in the ends. The best part about the 5 minute stretch break that I’ll talk you through in the following video* is that you don’t need any special supplies. You can wear PJs (as I am), and perform these stretches on your couch or your bed - in the morning, afternoon or evening! Basically, if you’re cozied up on the couch reading this, Nama-stay right where you are and press play on the video. After the simple stretches, feel free to warm up** your Knotty to Nice Neck Wrap and absorb all the self-care benefits that you’ve just practiced. Have a cozy, peaceful holiday season, and don’t forget to factor in some time for self-care everyday, movers and makers! *As with any physical activity, please be mindful of your body and how you’re feeling. Never practice any exercise that results in pain, and stop at any time if you feel uncomfortable. If you have any pre-existing medical conditions, please check with your doctor before performing any exercise demonstrated in this video.